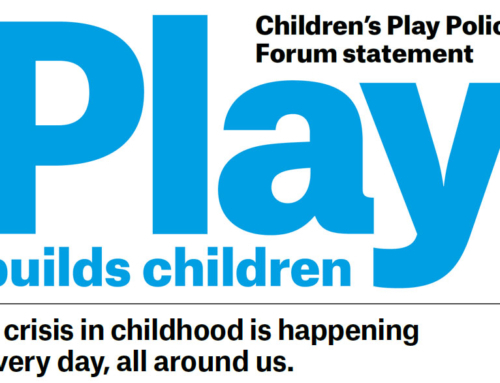 “Playing With Nature, Mud & Getting Dirty” is the latest article from the Department of Education’s Play Matters team. Packed full of ideas and tips for parents on playing outdoors, in mud and getting messy. Who can remember being outdoors building dens, climbing trees, making perfumes from leaves and flowers or playing with mud, stones or water? Most of us have childhood memories of playing in fields, fishing for tadpoles, paddling in streams, or picking daisies. 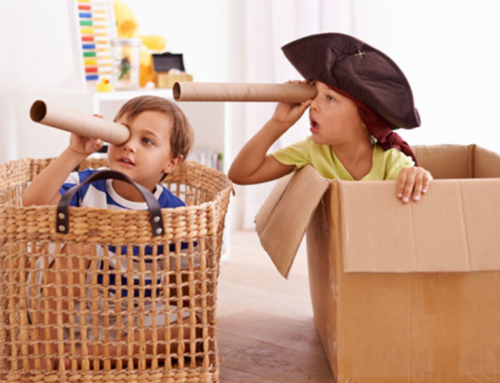 These types of childhood outdoor play experiences have been declining over time due to a range of factors including an increased reliance on technology, reduced free time, disappearing open space and perceived safety issues. Children today are therefore having much less contact with the natural world and this can have an impact on their healthy development. Children are naturally exposed to the bacteria, germs and microbes around them. Babies will put their hands, feet, and every imaginable object in their mouths. Toddlers and older children love digging in dirt, picking up worms, jumping in muddy puddles or rolling on the ground. This natural behavior is likely designed to help children encounter germs and bacteria – subsequently training their immune systems to react to it accordingly. We have however changed how we live and strive to eliminate as much as possible, exposure to bacteria and germs. Recent research has shown that this is detrimental for children’s health, and that there is a direct link between a lacking of diverse microbes in a child’s “gut” to potential chronic conditions such as asthma, allergies, obesity, diabetes, and even healthy brain development. ‘Nature Deficit Disorder’ whilst not a formal diagnosis, is a term used to describe the psychological, physical and cognitive costs of human alienation from nature, particularly for children in their developing years. Happier: studies show fresh air, sunshine and increased activity levels all encourage good mood and reduce tendencies toward poor mental health. Healthier: being outdoors in the natural environment helps children to access fresh air and vitamin D; indoor air is usually less healthy. Calmer: exposure to nature and being outdoors can contribute to a healthy heart rate, and reduced muscle tension including the production of stress hormones. More physically active: children playing in natural environments can improve their motor fitness, coordination, balance, and agility. 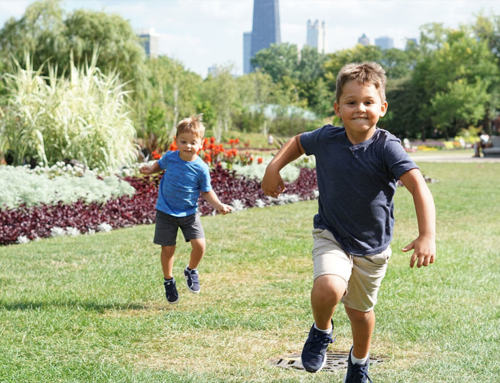 Better vision: being outdoors is good for eye health and time spent outdoors can help reduce short‑sightedness in children. Did you know that playing with mud is beneficial for children? The physical properties of mud mean that it provides a rich tactile and sensory experience. 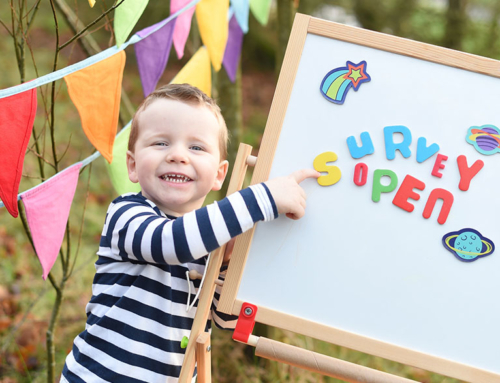 Through playing with mud children can develop their fine motor skills, mathematical and scientific knowledge, and mud play is a great fun way to develop imagination and creativity too. 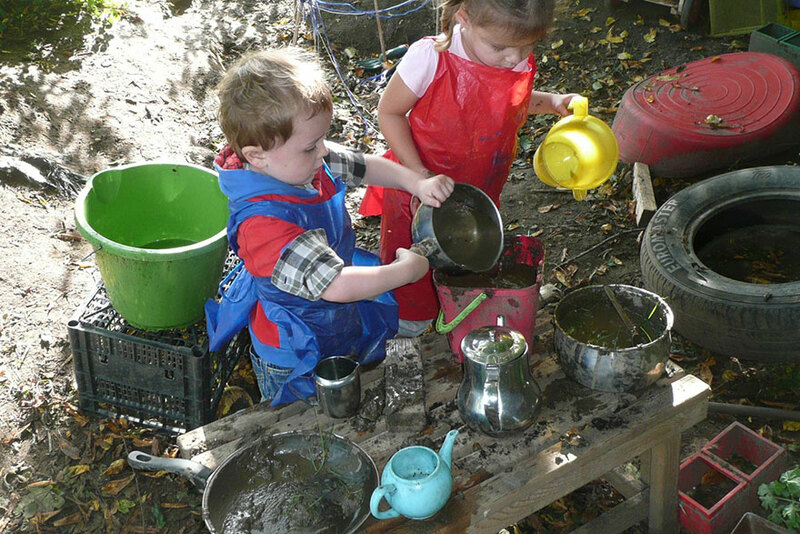 Muddy play is great fun; children can mould it, squish it, squelch and shape it. It can be made wetter or left to dry out. Digging in mud or splashing in muddy puddles can also be a great form of physical exercise. The open-ended nature of mud play is perfect for the developing brain. 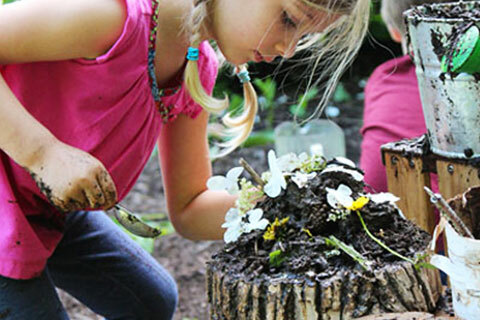 There is no end to the creations, ideas and games that children will invent with mud. GO OUTSIDE TO PLAY IN THE MUD. Going back to our earlier childhood memories who can remember having scabby knees, torn holes in trousers from falling over or a not so perfect outfit? It seemed that we as children were allowed to play freely, make a mess and to get dirty! Experts believe that our desire to keep everything sterile and clean is part to blame for recent increases in allergies amongst children as their immune systems are not being given the opportunity to develop naturally. Just as a baby’s brain needs stimulation and interaction to develop normally; the young immune system needs to be strengthened by some exposure to everyday germs – helping children to become less susceptible to illnesses later in life. So consider letting your child’s immune system harden, with the help of some dirt and germs and remember that evidence is showing that ultra clean lifestyles are actually bad for our health. When in a natural environment, encourage your children to touch anything they want (within reason), including dirt, mud, trees, plants, insects, animals but not break flowers, trees or plants or, trample, destroy or frighten creatures. 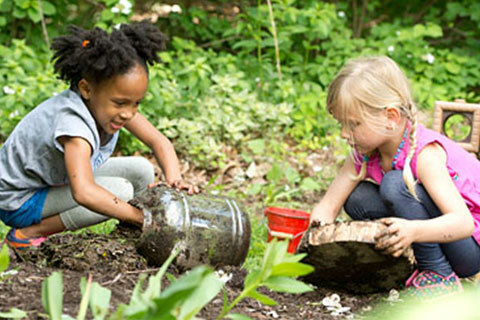 Most children have an innate desire to get dirty, this should be nurtured as much as possible.